The banter-filled event page has over 33 thousand attendees so far. Unless you've been living in a cave for the past 24 hours, you'll know that Prince Harry has announced his engagement to Meghan Markle. 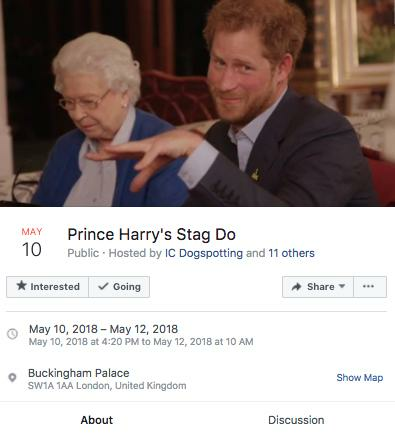 And, because Prince Harry has earned the unofficial title of the most laddy royal ever, some absolute geniuses have created a Stag Do event page for him. Even though we know that it's just for bants, the good people have got stuck in with (at the time of this) a whopping 33k "going" to the event and 99K of us "interested" in attending. And that's not all... the jokers have set up a Bacherlotte party for Meghan as well. Earlier this week Radio X considered who could play Prince Harry's rock 'n' roll reception.